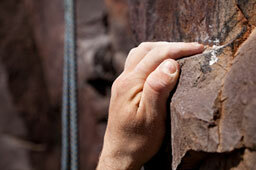 Ice and rock climbing have inherent risks, and injuries are not uncommon. Ice climbers climb features such as icefalls, frozen waterfalls, and cliffs and rock slabs covered with ice refrozen from flows of water. If you’re a climber and find yourself requiring an upper extremity surgery, choose HandSport Surgery Institute, the premier practice in hand and upper extremity surgery, and the treatment of sports injuries. Our surgeons rank in the top 2.1% (October, 2017) of hand surgeons in the country.